Army was crowned as the nation’s #1 team by 95 of the 121 writers who participated in the AP poll. 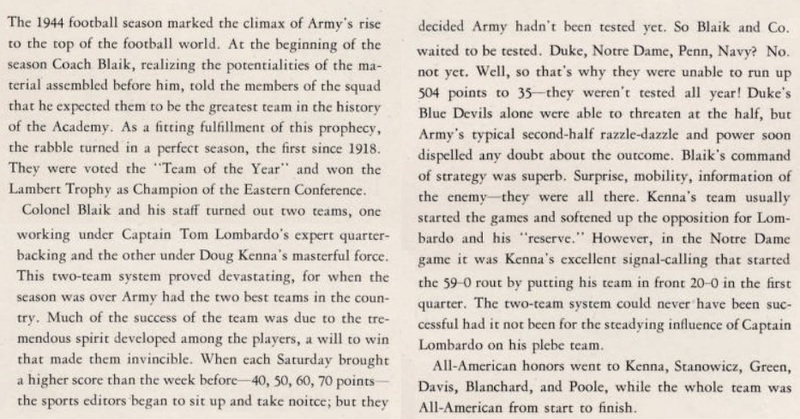 As in 1943, the AP poll included service teams, drawn from flight schools and training centers which were preparing men for fighting in World War II, and the teams played against the colleges as part of their schedules. Half of the final Top 20 teams were composed of service teams, in addition to the two service academies at West Point and Annapolis. 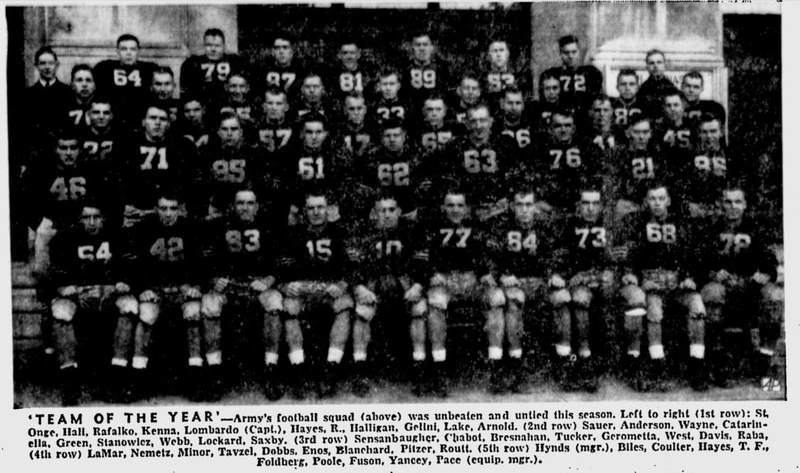 Most colleges that had suspended their programs in 1943 were back in 1944, including the entire Southeastern Conference. 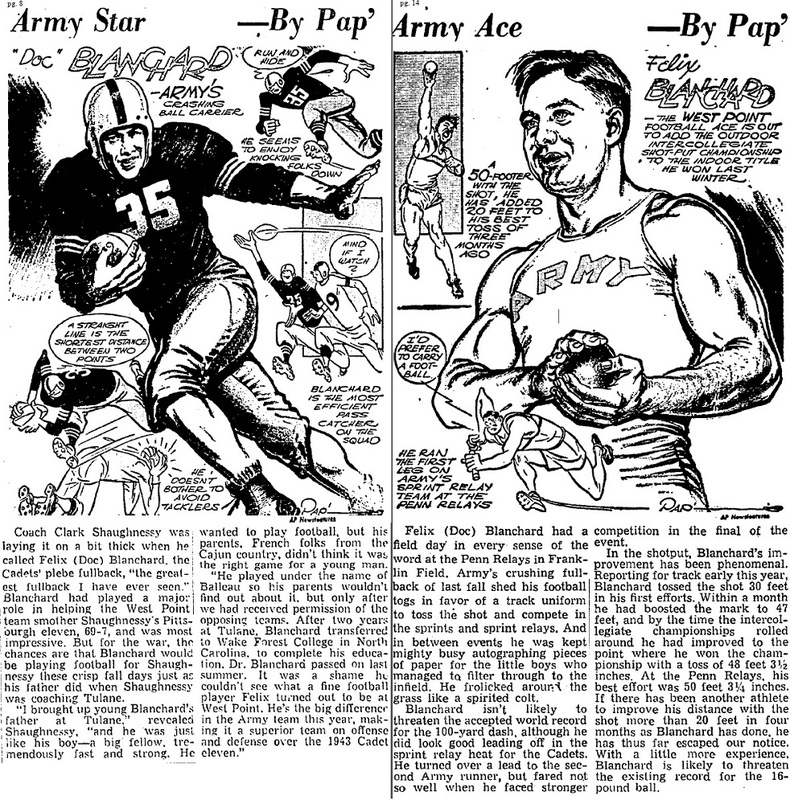 On the bitterly cold afternoon of Dec. 2, 1944, West Point’s Felix “Doc” Blanchard kicked the football to Annapolis’s Bobby Tom Jenkins to begin the biggest contest in the history of the Army-Navy series. On that day the world was at war, but for a few hours, for the legions of American servicemen huddled around shortwave sets in Europe, the Mediterranean and the Pacific, the hostilities seemed to stop. This was a game played by boys training to be soldiers and sailors for the benefit of battle-hardened soldiers and sailors dreaming of being boys once again. 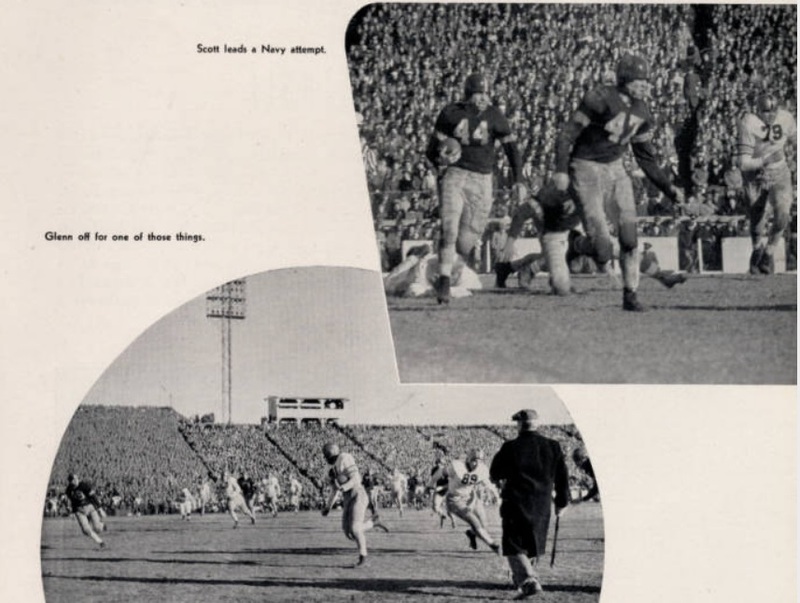 Clockwise from top left: The 1944 Army-Navy game; A program from the game; Future Heisman Trophy winners Glenn Davis (No. 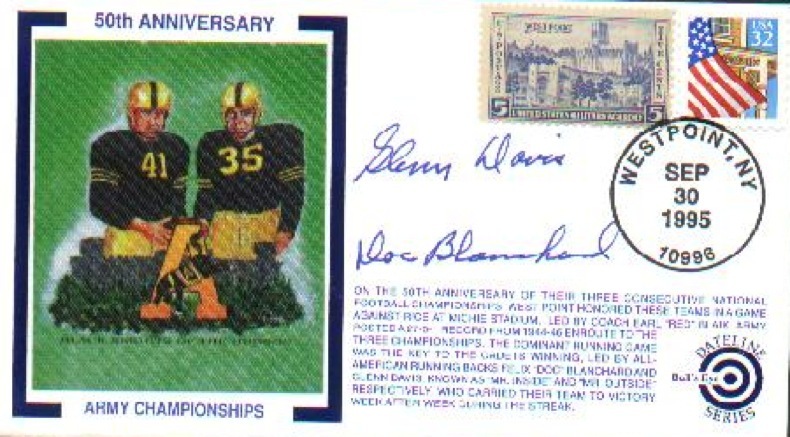 41) and Doc Blanchard (No. 35) led Army to victory. This year’s Army-Navy game, which takes place Saturday in Landover, Md., pits the 4-7 Midshipmen’s limping through their worst season in nearly a decade’s gainst a 3-8 Black Knights squad. Neither team can go to a bowl. The only intrigue is whether Navy has regressed enough to finally lose to Army for the first time since 2001. 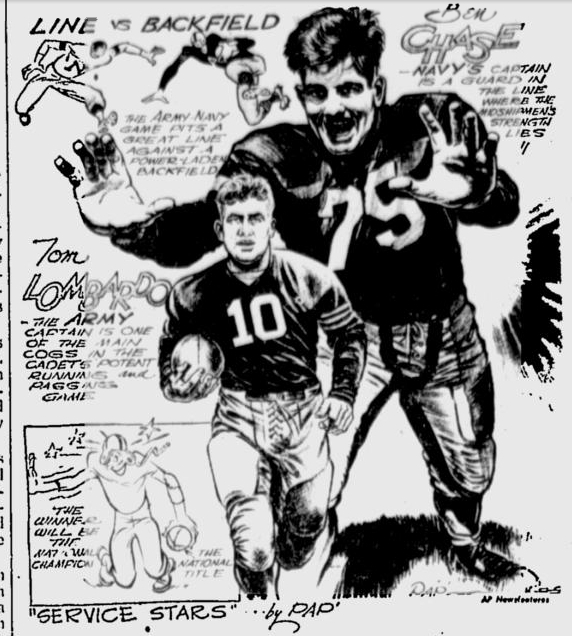 But in 1944, this rivalry game was not only freighted with the unusual significance of the time, it was also one of the best and most hotly anticipated football games of all time. Army was 8-0 and ranked No. 1 in the country. Navy, at 6-2, was ranked No. 2. At 2 p.m., with snow flurries in the air and servicemen around the world listening, the two teams finally met – both for college-football supremacy and for the greater honor of their schools and services. Others disagreed. Cmdr. 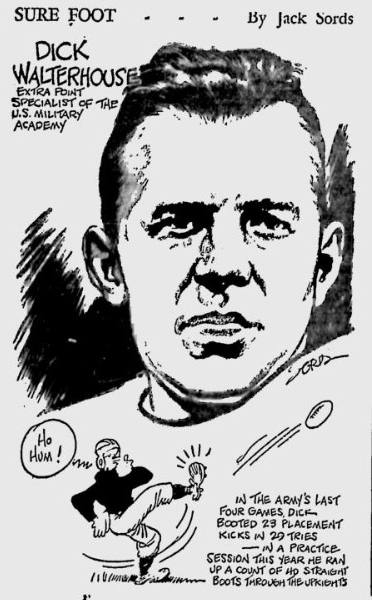 Thomas J. Hamilton, the head of the Navy’s Prefight and Physical Training program and a former head coach at Annapolis, thought football was an ideal way to train men for combat. And since Hamilton had the ear of the Navy brass, his position carried the day. 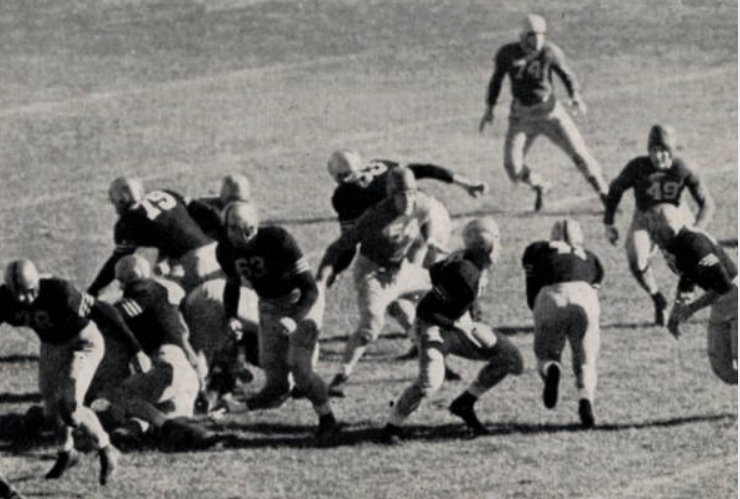 Football became an integral part of the Navy’s V-5 preflight initiative. This training program was installed at select college campuses including Iowa and Georgia. Other larger Navy V-programs followed the V-5’s lead. 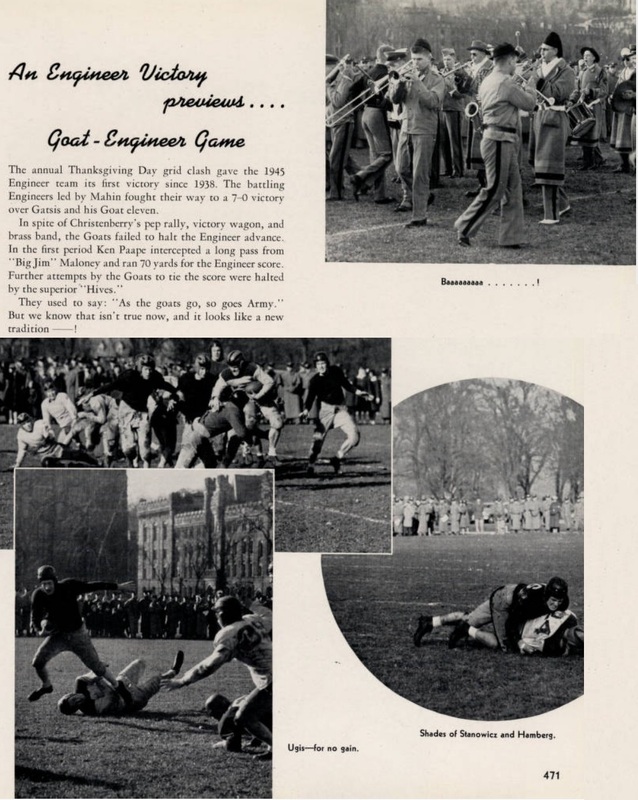 The mammoth V-12 program, instituted in over 130 colleges just before the 1943 football season to train naval and marine officers, also permitted – and even encouraged – these candidates to participate in varsity sports. While the Navy was underwriting the continuation of college football, the Army moved in the opposite direction. The Army Specialized Training Program (ASTP), instituted in more than 240 colleges, prohibited cadets from participating in intercollegiate sports. 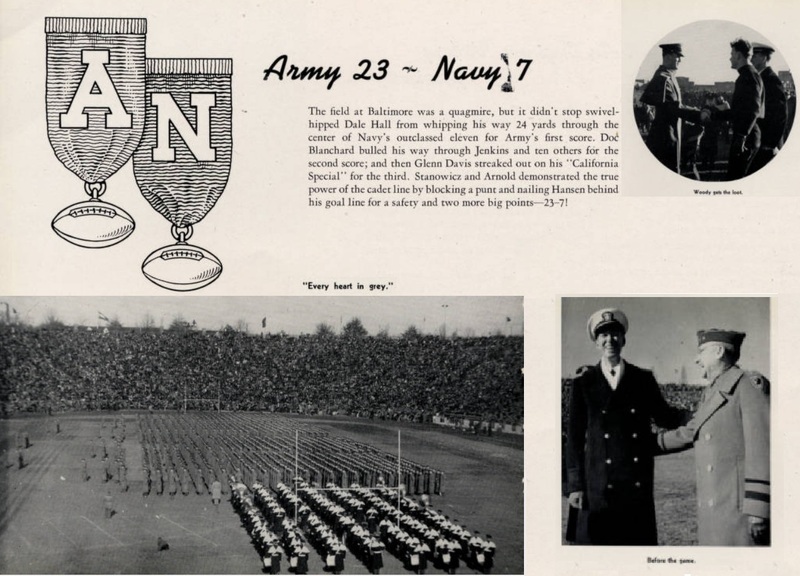 These decisions by leaders of the Army and Navy reshaped college football. Traditions were shed and the prewar pecking order was scrambled. 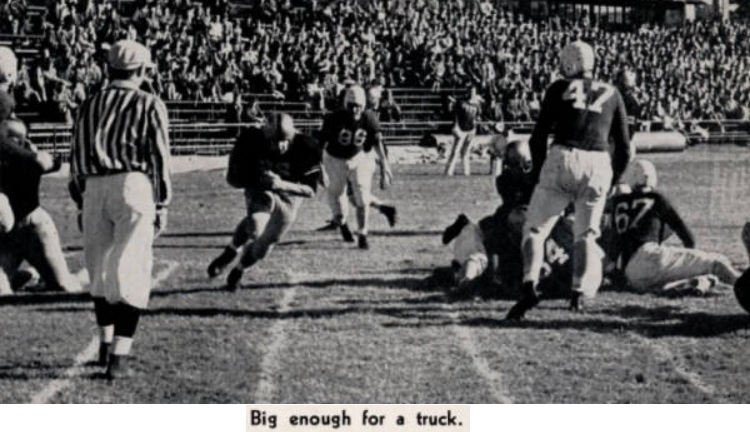 Schools with Army Specialized Training Program were out of the running as serious football schools. Most could not field a team and discontinued the sport. 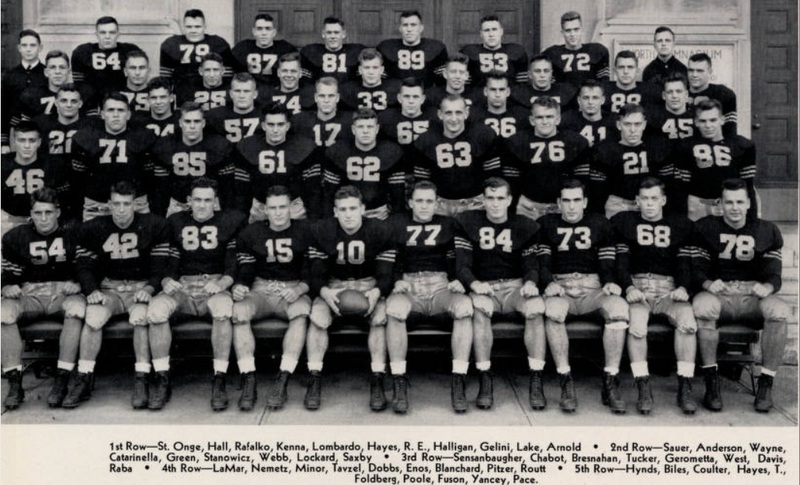 Alabama, Auburn, Stanford and Syracuse didn’t field teams in 1943. Meanwhile, schools with V-12 programs, especially V-12 Marine programs, walked in tall cotton. As some football programs declined or folded, V-12 schools like Notre Dame, Southern California and Purdue snapped up their best players. 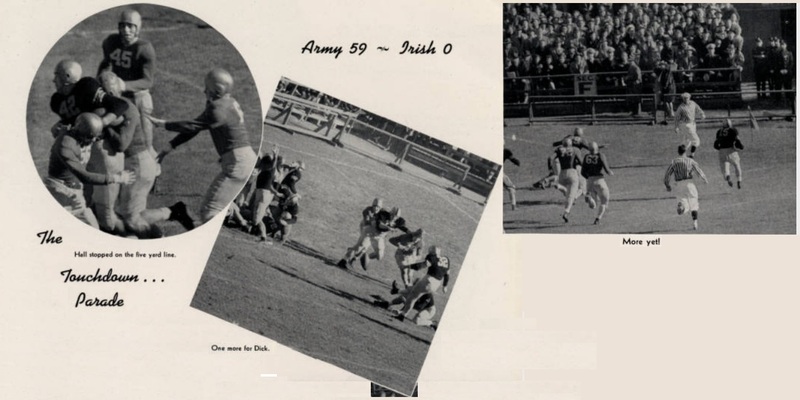 A player from Ohio State or Illinois, for instance, could enlist in a Marine V-12 program in July and find himself playing in the opener for Notre Dame in September (not surprisingly, the Irish won the 1943 national title). The burst of football talent at these schools wouldn’t last. By late 1943, the Marines desperately needed junior officers to lead troops onto Pacific beaches. 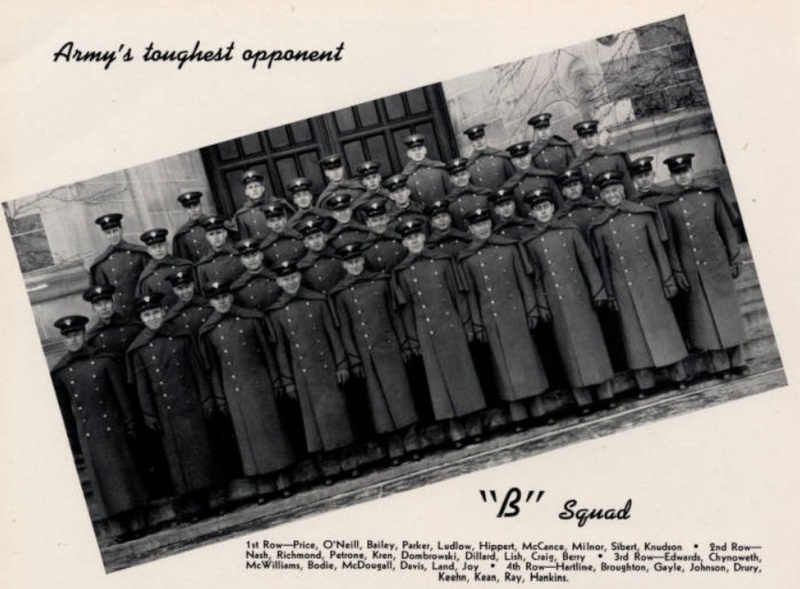 Football was no longer such a priority and V-12 programs were tapped for officers. No one was exempt. 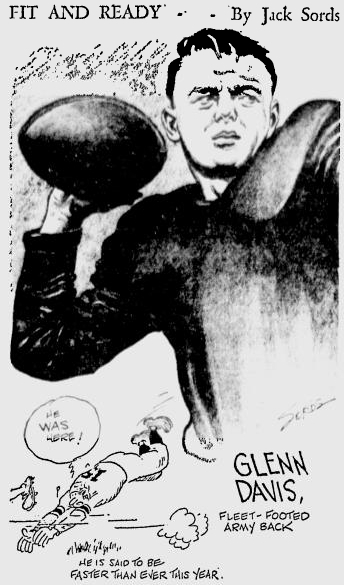 This point became clear on Nov. 1, 1943: Before the end of the season, the Marines called up Angelo Bertelli, Notre Dame’s All-American quarterback, and shipped him off to Paris Island to continue his training. 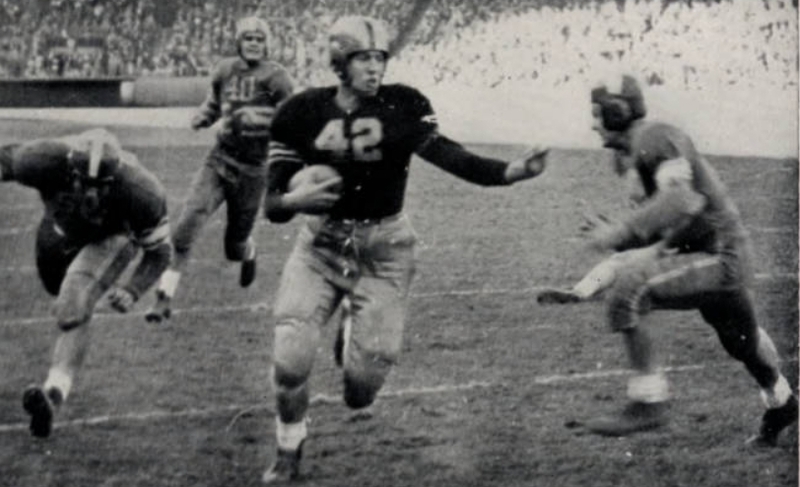 As transient as college football had become, there were two teams left largely intact: Army and Navy. Although both academies had shortened their courses of instruction and training to three years from four, Army’s cadets and Navy’s midshipmen were not subject to sudden call-ups or shipped preemptively overseas. They stayed on post until they graduated. 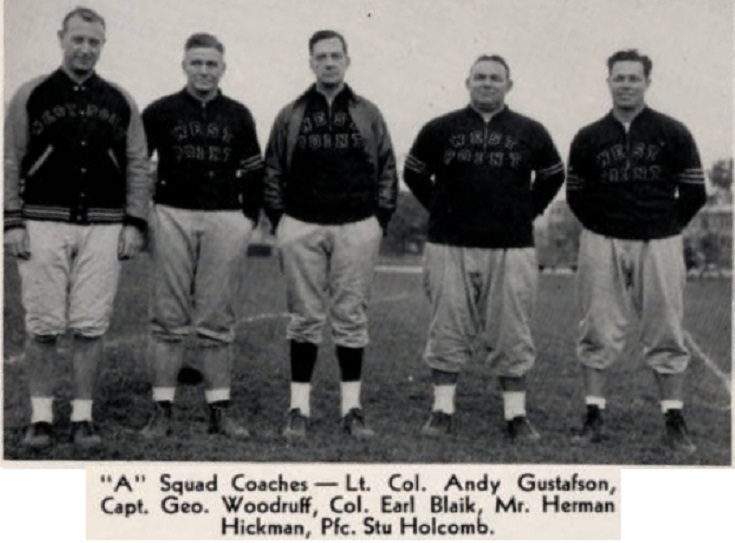 And the leaders at both academies believed that excellence on the gridiron was important to the war effort. 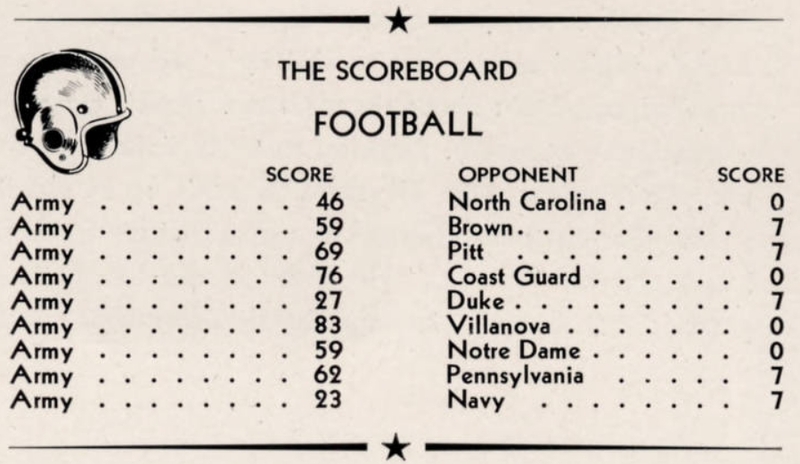 The Army and Navy football teams, thry believed, should stand as proxies for the two branches of service. 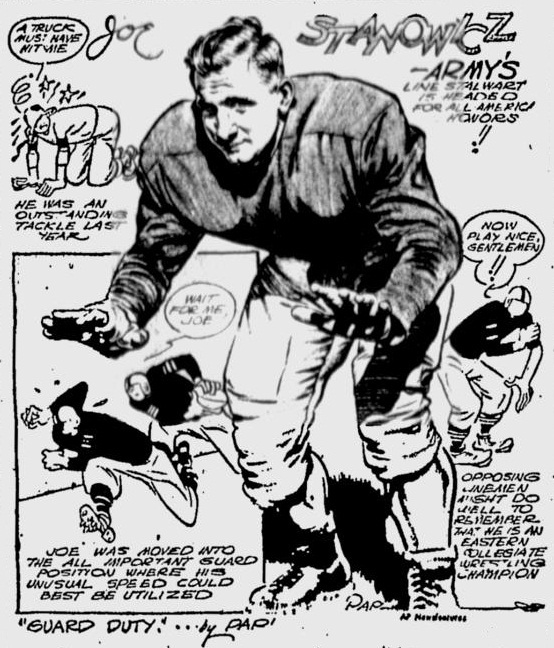 In late 1940, when Gen. Robert L. Eichelberger was appointed superintendent of the U.S. Military Academy, Army’s football team was in a sorry state. Certain that war was imminent, Eichelberger decided he wanted a team that would reflect the excellence of the academy and the Army. 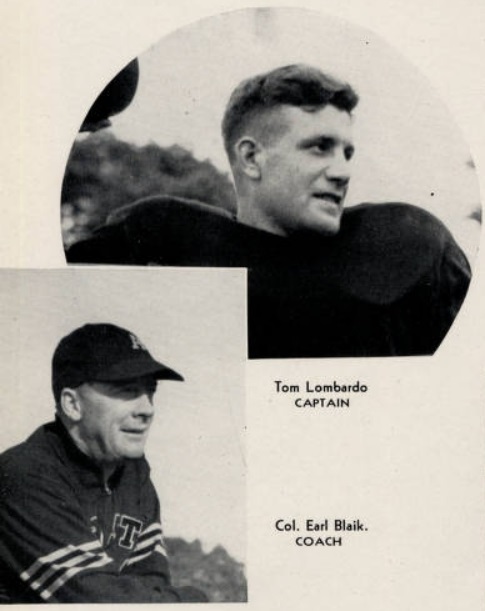 As one of his first important acts as superintendent, he landed Earl “Red” Blaik as head football coach. 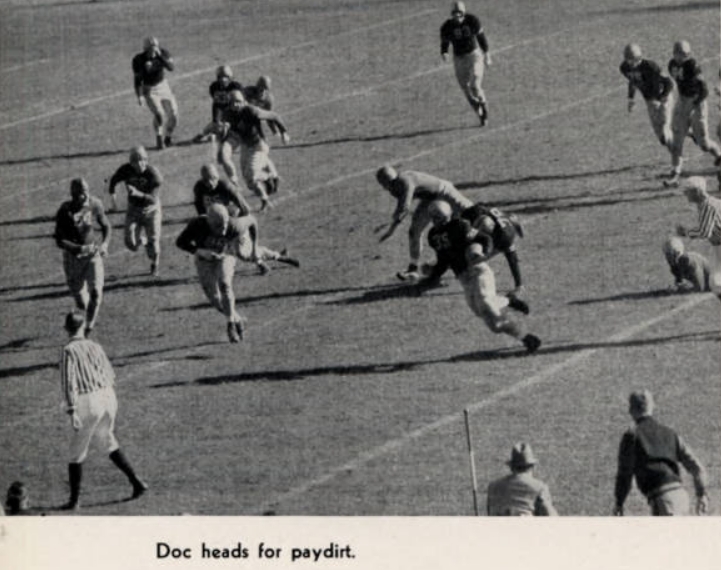 Blaik had led Dartmouth to a 22-game unbeaten streak in the 1930s. As wartime rules tilted college football’s balance of power toward the academies, Blaik had little trouble landing talent. 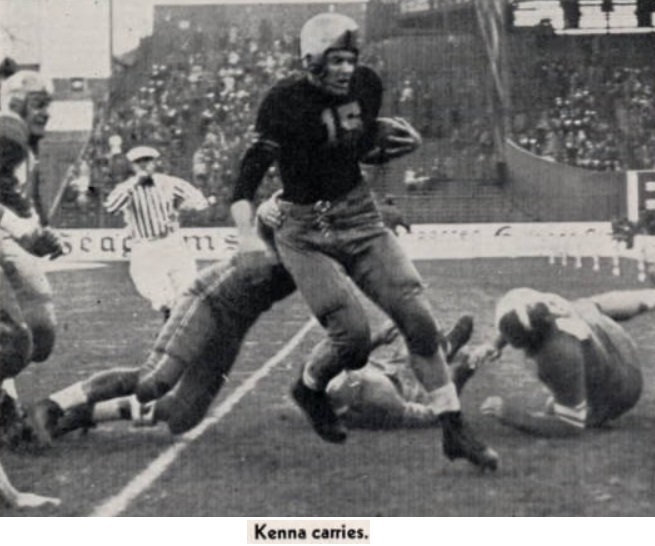 Army quarterback Doug Kenna, who is now in the College Football Hall of Fame, began his career at Mississippi – but when his team was gutted by the war, he accepted an appointment at West Point. 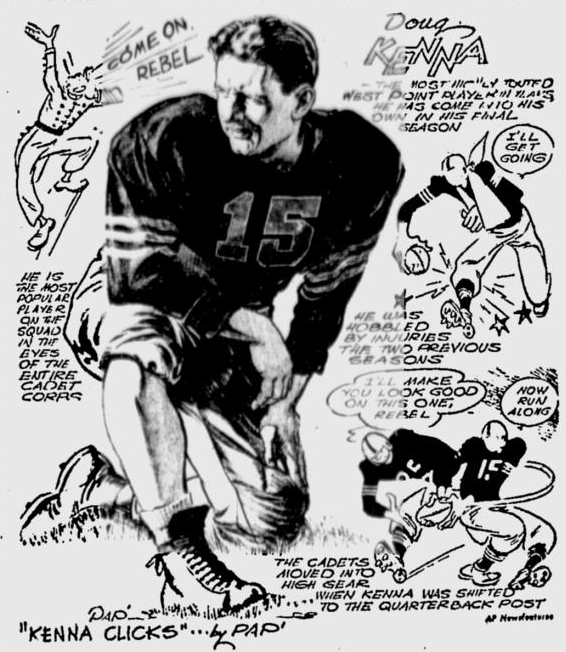 Barney Poole, a future Hall of Fame end, also moved from Ole Miss to West Point, with a pit stop during the 1943 season to play on North Carolina’s V-12 team. 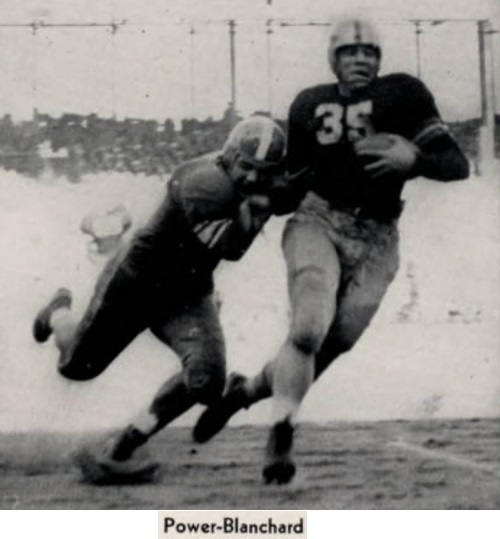 Then there was Army’s famous backfield of Doc Blanchard and Glenn Davis – tandem that’s widely regarded as one of the best in the history of the sport. 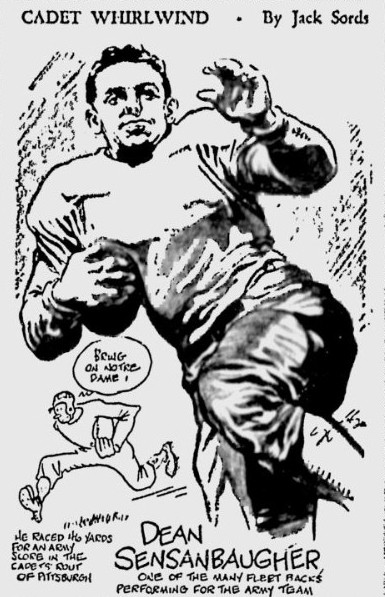 Blanchard, the fullback who was known as “Mr. Inside,” had played his freshman year at North Carolina and spent time in the Army before ending up on Blaik’s team. 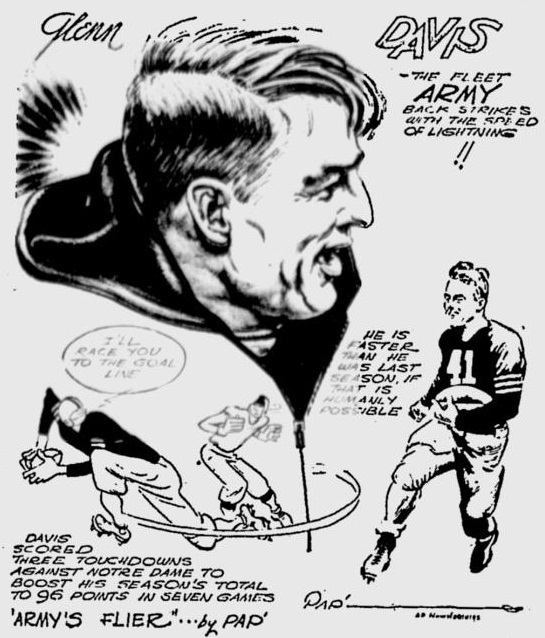 Davis, the halfback known as “Mr. Outside” was one of the few big-name players on the Army team who had gone directly to West Point from the gridirons of high school. Davis, Blanchard, Kenna, and Poole weren’t so superior as athleted that they could have been considered ringers, but on this day in 1944, they would skirt close to the edge of being so. The game was close for three quarters. Army led 9-7 going into the fourth. 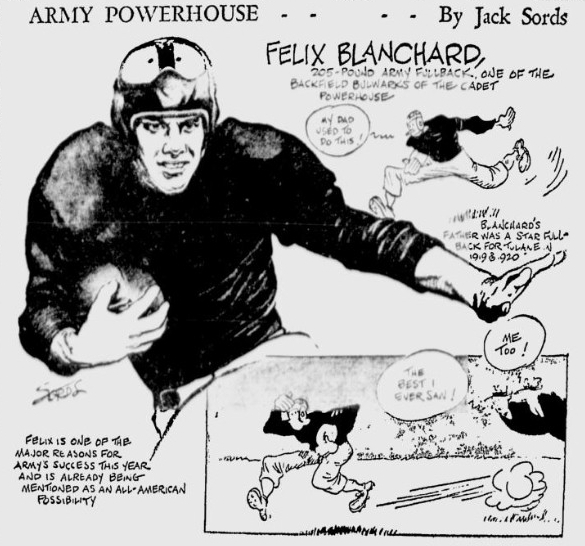 Then came a nine-play, 52-yard Army scoring drive in which Blanchard carried the ball seven times and accounted for all but four of the team’s yards. On the final play of the drive, he ran over three Navy defenders and bulled his way into the end zone. A short time later, Davis put an exclamation point on the game. Finding a sliver of space, he broke through the Navy line, dodged past several defenders and outraced everyone else for a euphoric 50-yard touchdown run. 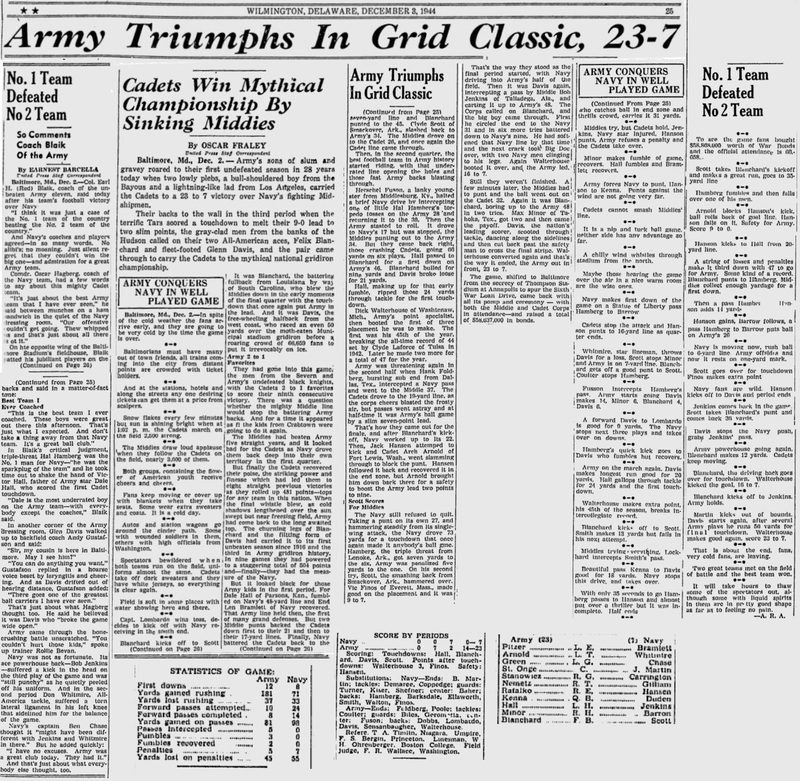 The 23-7 Army victory was Blaik’s first in the series. This entry was written by forwhattheygave, posted on December 11, 2007 at 10:29 pm, filed under Teams and tagged 1944, Football. Bookmark the permalink. Follow any comments here with the RSS feed for this post. Trackbacks are closed, but you can post a comment.